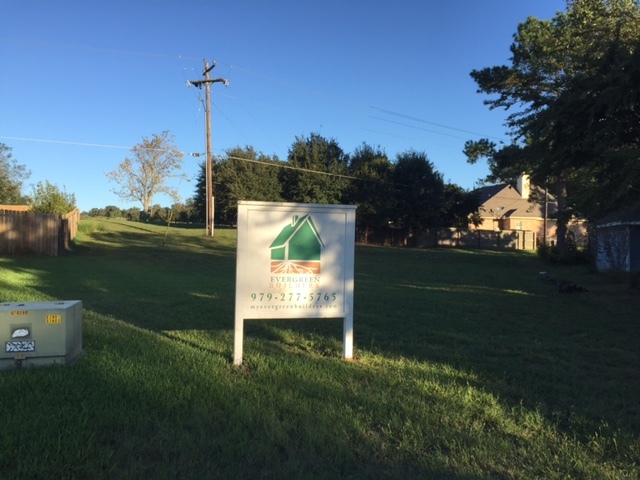 Available Homes | Brenham, TX - Evergreen Builders Ltd. Co. This Lot is conveniently located across from the park, great for kids in well-established subdivision. Close to schools, shopping etc. Will Build to Suit or Sell Lot separately, asking 32k lot only. 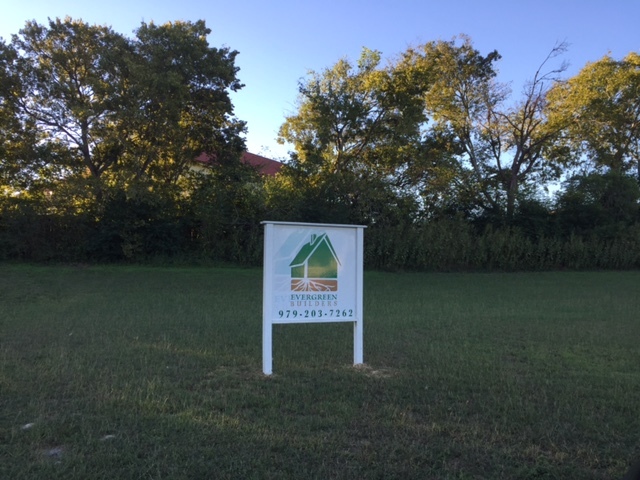 Beautiful cul-de-sac lot available in established, well located Brenham neighborhood. 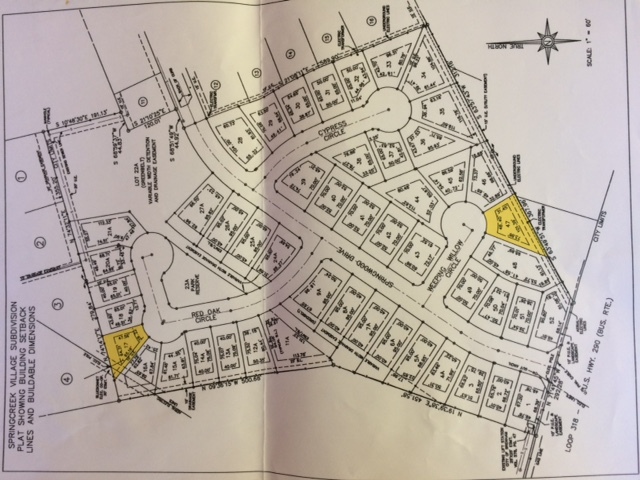 Will sell Lot or Build to Suit call Evergreen Builders. 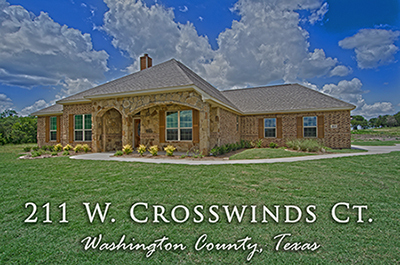 Beautiful home in Crosswinds Estates. New construction home by Evergreen Builders. +/-2608 SF situated on +/-1.57 acre and conveniently located only minutes to downtown Brenham with easy access to Hwy 36. 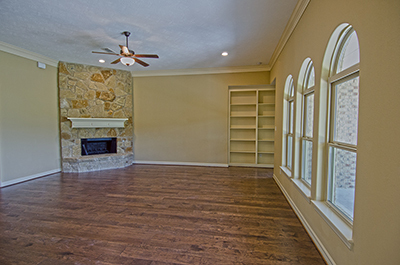 Open floor plan, 4 bedrooms with optional study, spacious living with custom stone corner fireplace and large formal dining. 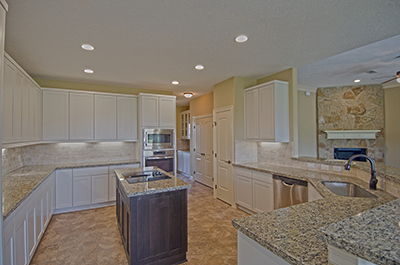 Wonderful island kitchen with granite countertops, butler's pantry and is open to the living and breakfast area. Light and bright master suite, vaulted ceiling, garden tub with separate shower, double sinks and nice sized walk-in closet. Oversized two-car side entry garage, covered and uncovered patios great for entertaining. Shady backyard with mature oak trees, sprinkler system and county maintained roads. Directions: From Brenham, travel Hwy 36 N to right on Fritz Road. Turn right into Crosswinds Estates, left on E. Crosswinds Ct, home is on the left at cul-de-sac.